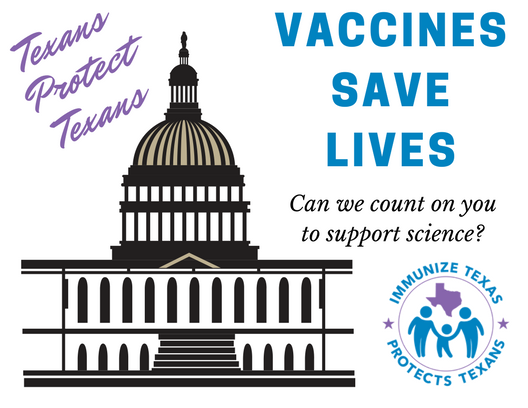 Immunize Texas depends on supporters to promote pro-vaccine activities across the state and to protect everyone in our communities from completely preventable diseases. BE A PROUD SUPPORTER OF SCIENCE AND MEDICINE. DONATE TODAY. We are, at heart, a community organization, and we need you to join us in fighting back against the misinformation and lies that are hurting us all. Please help.